Herbs are the heart of cooking. 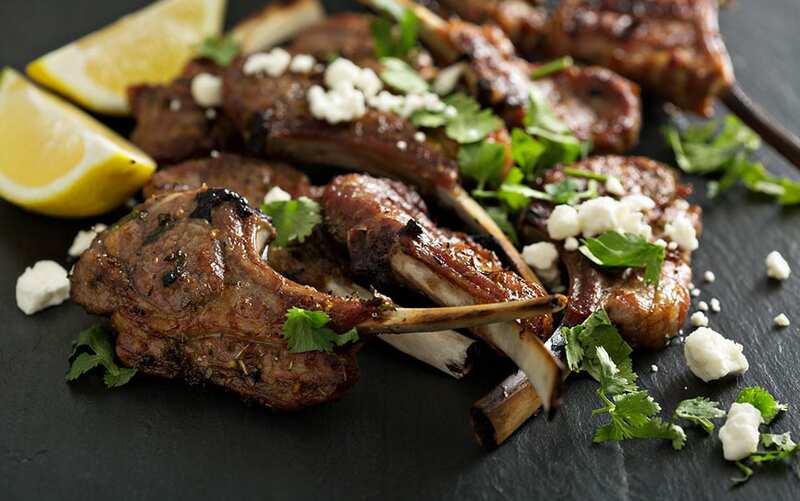 Bringing flavour, aroma, and beautiful garnish – fact is, if you love food, you love herbs. 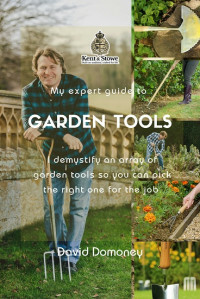 The great thing is, growing them is just as satisfying and rewarding as using them. And with a little careful planting and thought, you’ll end up with fresh herbs available all year round to use in your kitchen. There’s nothing like opening your back door and snipping a bit of fresh mint for your roast lamb, some gorgeous basil for your pasta sauce, or even a little fresh parsley to flavour your omelette. 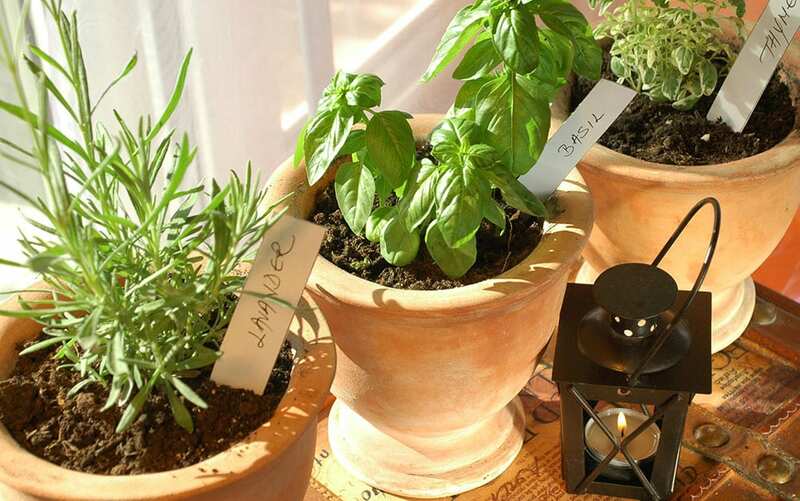 Herbs can be grown outside in the ground, in containers or pots, and even on a windowsill inside. 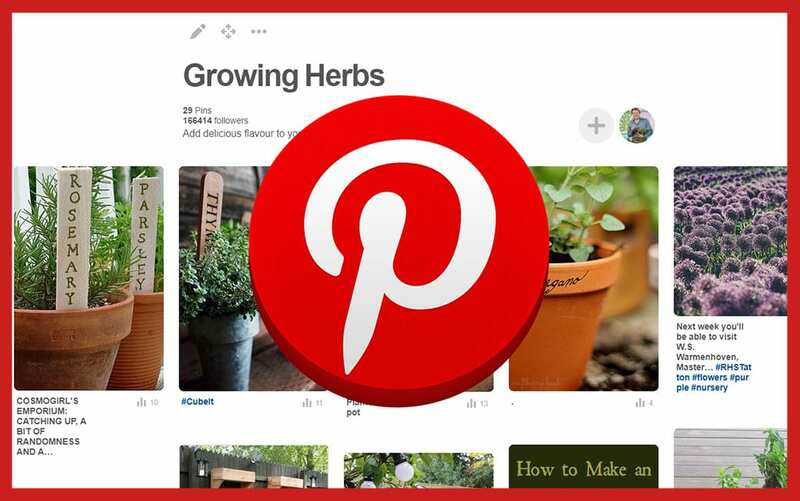 Here’s my brief guide to growing herbs to help you get started. These herbs will grow quite quickly and will need to be sown every few weeks throughout spring and summer to ensure you have a continuous supply of fresh herbs. Perennial herbs are slower growing and will need to be sown in a permanent area. They’ll give you a continuous harvest for your kitchen, so just think about how much you’ll save! 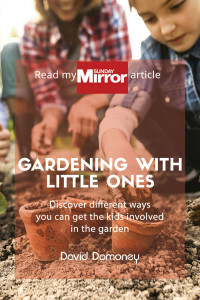 Make sure you do your research on the herbs you wish to grow so that you can establish what soil requirements they have and how to care for them. Mint and horseradish can grow and spread very rapidly, so if you want them contained, it’s best to grow these in pots. 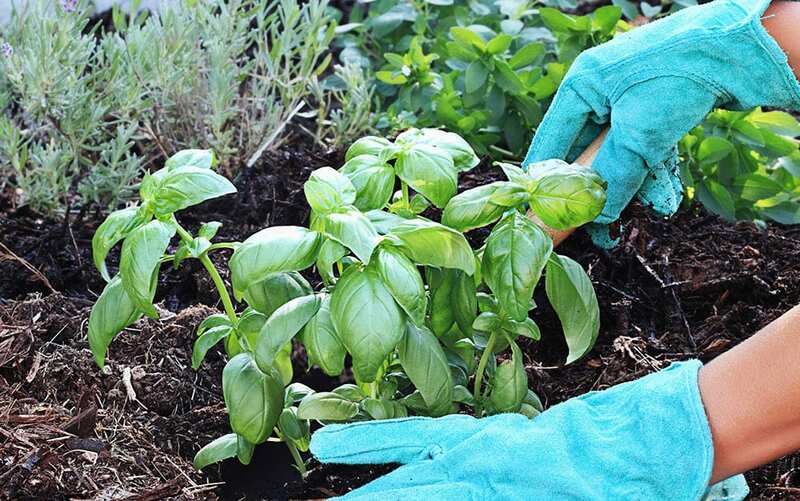 Check out my article on the eight best herbs to grow in a beginner’s herb garden. 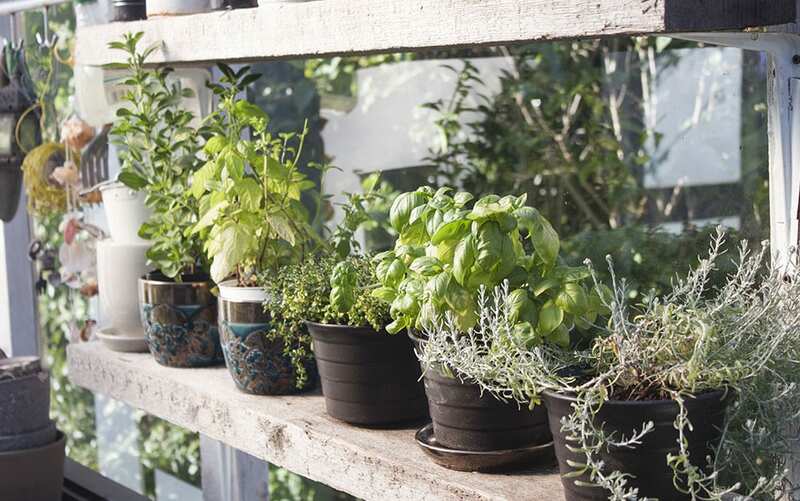 Having a section of your garden dedicated to growing herbs is a delight for all your senses! The wonderful scents fill the air, and the colours of the green and silver foliage look incredible when combined. 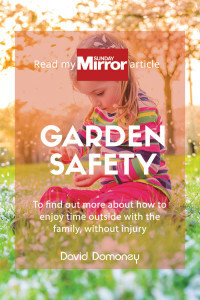 Pretty much every herb relies on plenty of sunlight and well-drained soil, so whether you’re planting in a border or a window box, you need to make sure you can provide that sunlight. Growing produce in pots and containers is a superb way to make the most of the available space. Pots can be placed on a bright patio, right by the back door for easy access when cooking too! Choose pots or containers that are relatively deep and make sure there are drainage holes in the bottom. 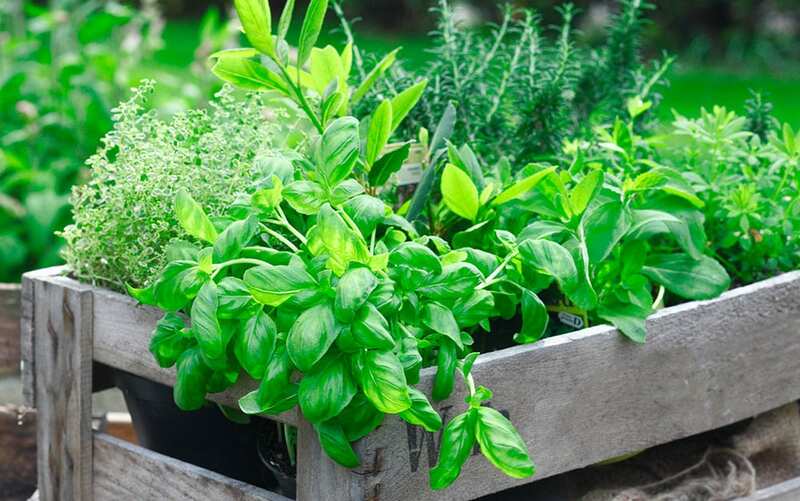 You can recycle medium sized crates into minature herb gardens – these are great as they can be moved around easily and you can pack loads of herbs into one. Over winter, protect your herbs by placing them against a house wall or wrapping the pot in bubble wrap. Herb wheels are a perfect way to grow lots of different herbs when you are short on space in the garden. You can make your own herb wheel, or you can purchase them in varying sizes from your local garden centre. Each wheel segment can have a different herb, but remember to label up each section! 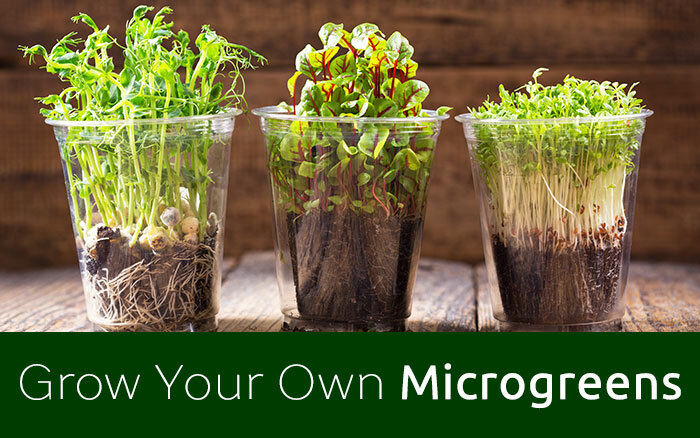 You can grow herbs indoors quite easily on a bright windowsill. 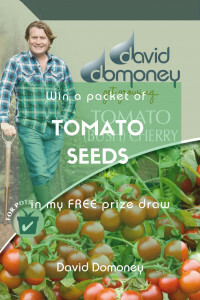 Once you have sown your seeds, cover the pot and put it somewhere bright and warm to germinate. One sprouted, you can uncover and let the herb flourish. 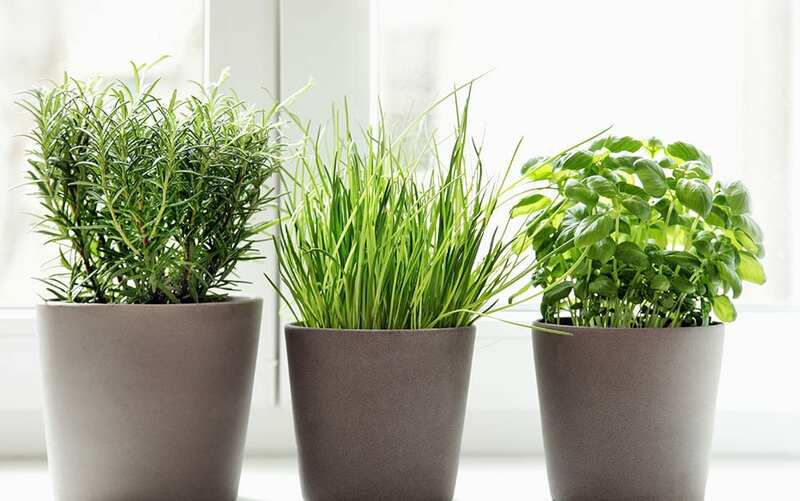 Placement is still quite important for indoor herbs, they do require a decent amount of natural light, at least 4 hours of sunlight a day is recommended. The typical indoor temperature is comfortable enough for most herbs too, but don’t stick them above a radiator!